Where: Halethorpe, Maryland at the Oriole Dog Training Club. What: Rally Novice through Rally Master judged by Carol Heisterhagen (Saturday) and Karen Schroeder (Sunday). Entries: Entries open 9:00 am, Wednesday, January 9, 2019. Method of entry is First Received. Limited to 60 runs per day. Entries: Entries open Wednesday, March 6, 2019. Entries close at 12:00pm, Wednesday, May 8, 2019. This trial can be entered online. ***Starred dates indicate AKC Rally classes only. 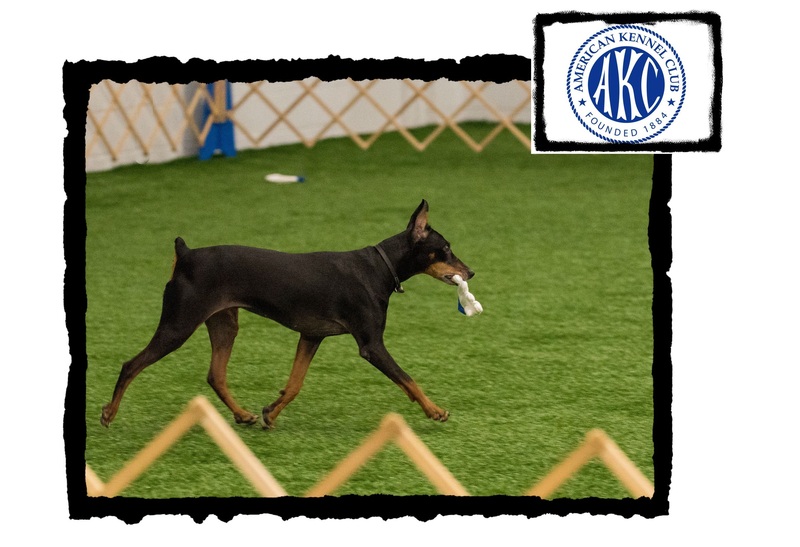 Non-starred dates are AKC Obedience & AKC Rally. Handlers prepare their handling plan on the course walkthrough for the Novice Rally class on Friday night. The ‘course’, always different from trial to trial, consists of numbered stations at which a particular obedience exercise is to be performed. A handler waits with her Samoyed for judge Lynda Moore’s instruction to begin a Rally Obedience course. Dogs patiently wait in the sitting position for one minute while their handlers are out of sight in the next room. They must remain in this position until all handlers have returned to stand next to their dog and judge Donna Meade announces “Exercise finished”. After the awards and qualifying scores have been announced, judge Lynda Moore polls the group to see who has finished their title. Results from previous trials can be found in the archives at Clantyre Show Secretary Event Services or in the unofficial AKC show results mirrored at Dog Show Scores.